I had heard about Outsider Art from my father the first time; that would be about 45 or 50 years ago. Of course, it was not called Outsider Art in those days. What my father was showing me was a book in our library called, Bildnerei der Geisteskranken (Artistry of the mentally ill) published in Germany in 1922, by Dr Hans Prinzhorn . These were works by inmates in an insane asylum. The concept was articulated from the liberal translation of what Jean Dubuffet called ‘Art Brut’ or ‘Raw Art’. It was probably 20 years later that I learned that there were dealers and collectors who concentrated on this specific field. It didn’t really register with me even after the renowned show manager, Sanford Smith, organized the first Outsider Art Fair in New York in 1993. Finally, my curiosity was piqued when my friend and colleague the drawings and print dealer, Emanuel von Baeyer told me that he was also buying “Outsider Art”. I decided to find out for myself what this field was all about. I visited the recent Sanford Smith Outsider Art Fair which is now held in a New York office building at Fifth Avenue and 34th Street. The building devotes an entire floor of their huge edifice to exhibition space. 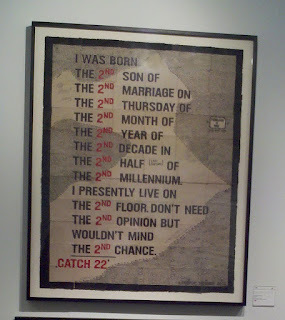 As I walked into the show I half expected to see inexpensive scraps of paper on the wall. Wow! Was I ever surprised? 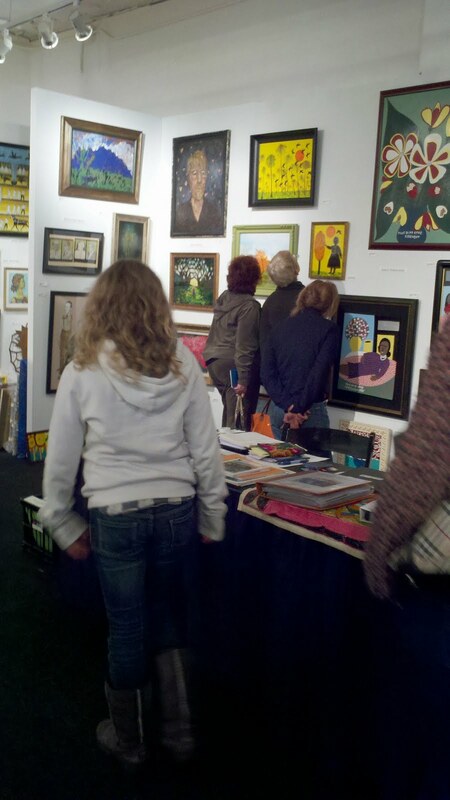 Many pieces are just as sophisticated and interesting as in any other modern art fair. Some of what I saw reminded me of Dubuffet, which I guess is not surprising since the term Outsider Art started with him. I believe his concept was summed up in a quote of his posted on one of the exhibitor’s walls, “Real Art is always where you least expect it.” That certainly was true in my case. The style is totally international. I noticed dealers from England, France, Japan as well as across the United States including Chattanooga Tennessee. I found all media and styles, but much of the work seemed to have an affinity for African art, although that was by no means a criterion. One Haitian artist recycled an oil drum to make the most fabulous large screen depicting in the center “the King and Queen”. 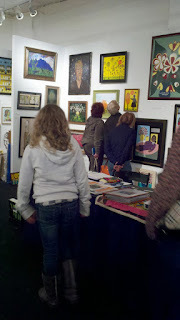 I decided to go around and ask some of the exhibiting dealers how they would define Outsider Art. I had the feeling that many did not care for the term because somehow it sounds like second rate, and it certainly isn’t that. The answer which all seemed to agree on was that Outsider Art was done by artists who were self-taught, and were not thinking about the market, or particularly interested in selling their art. 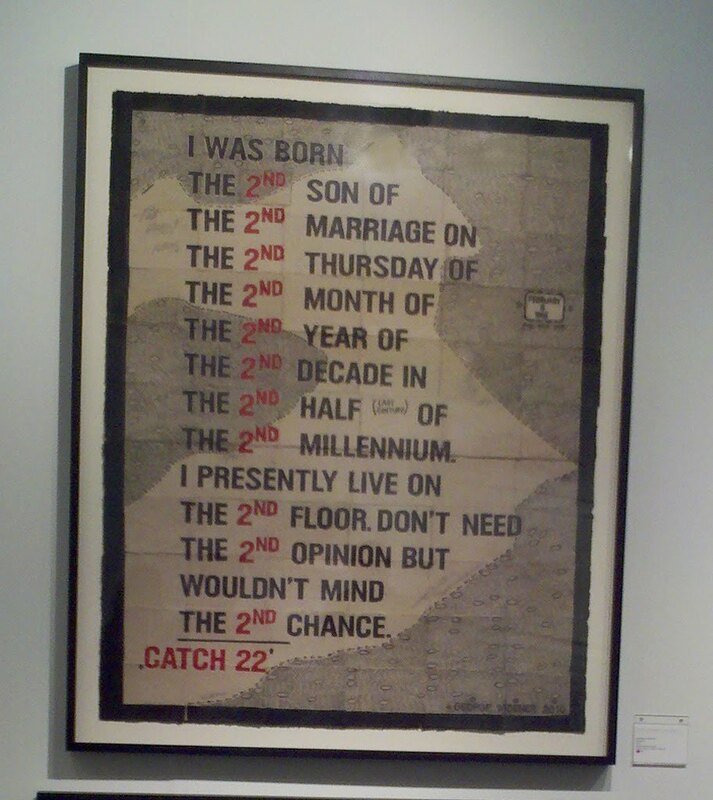 Some of the artists would not allow the subject of marketing to be even discussed. As I wandered through I kept thinking of well known established artists who would fit some of the criteria for Outsider Art. Van Gogh famously spent time in the insane asylum at St. Remy. Grandma Moses was certainly self-taught. Many Native American and Hispanic artists use found objects such as tin cans, bottle caps or computer boards to create their art. Many of them have not joined the scramble to produce what their dealers or clients want them to do. I have come to the conclusion, not surprisingly, that art is art, and some Outsider Art is wonderful, but the term is just another attempt by the art world to pigeonhole a style and thereby make it respectable and marketable.